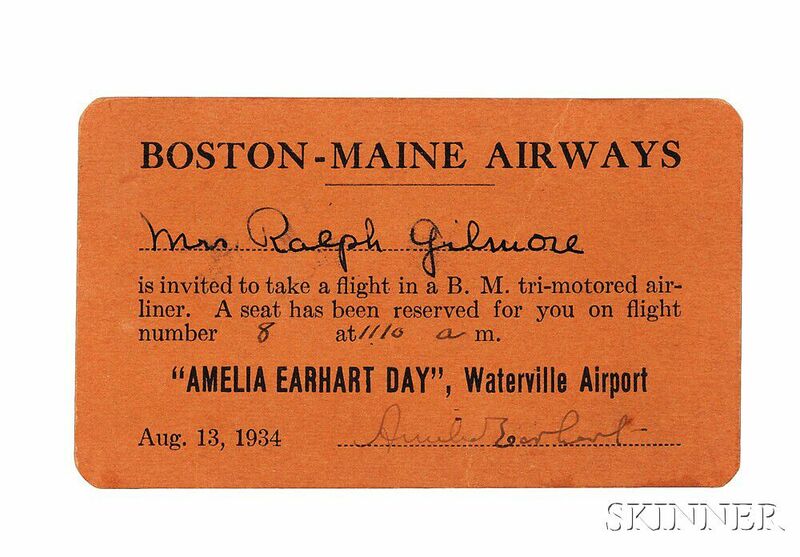 Earhart, Amelia (1897-1937) Signed Ticket to Amelia Earhart Day, Waterville Airport, 13 August 1934. 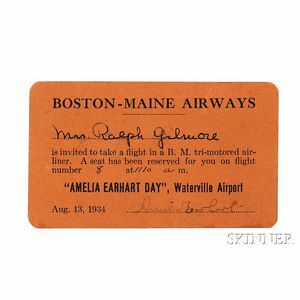 Orange cardstock ticket, printed for Boston-Maine Airways, inviting a Mrs. Ralph Gilmore to take a flight in a "B.M. tri-motored airliner," on flight number eight at 11:10 am, with Earhart's signature on the dotted line, 3 3/4 x 2 1/4 in. 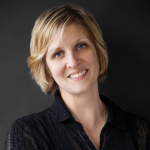 Events like these allowed Earhart to fulfill her personal mission to encourage female participation in aviation. American Celebrities and Musicians, Signed Photographs, Letters, and Cards. American Composers of the 20th Century, Five Signed Letters and Cards. American Film Stars, a Collection of Signed Photographs, c. 1942. Archive of Approximately Twenty-five Documents, Signatures, and other Paper Ephemera, 17th, 18th, and 19th Century. Authors and Novelists of the 20th Century, Ten Signed Letters and Cards. Barton, Clara (1821-1912) Autograph Letter Signed, Glen Echo, Undated.